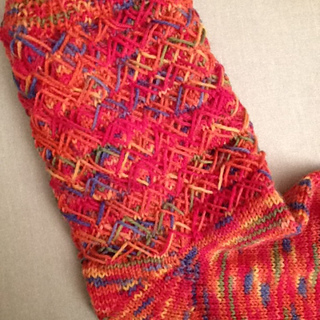 This top-down sock uses an innovative stranding technique to create a double diamond lattice that appears to float on the surface of the sock. Alice combines a Cat Bordhi-inspired wedge heel with her own shadow wraps to create a quick and comfy heel. Besides foot circumference, leg and circumference and foot length are adjustable.